Noida Double Murder Case - what comes to your mind when you read these words? Hemraj, Aarushi Talwar and her parents? If not, then you are someone who doesn’t get hold of news very frequently. The Noida Double Murder Case was a media sensation and every single media house, be it print or web or electronic, everyone wanted to be the first one to share the so called breaking news, which were the new findings in the case. For all those who don’t know much about the case; Talvar, a movie directed by Meghana Gulzar, is a must watch. It is called India’s most controversial case. According to me it was like a coin. Just as a coin has two sides, the murder case has two stories - one by the Police and the other by CBI. The case would have been closed or rather solved if it was as easy as tossing the coin and going ahead with whichever side came up, but no, it’s all about the punishment to the guilty and hence the entire mystery. I have seen the movie Talvar; I was aware of the happenings in the Noida Double Murder Case and I have also read about the entire case in detail. 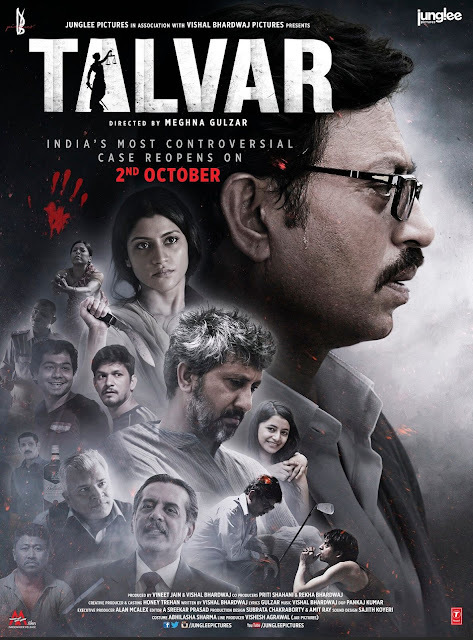 Talvar, doesn’t deviate from the actual plot of the case like any typical Bollywood masala. For me it was a no-nonsense movie, which concentrated only on the actual subject of the movie. The direction of the movie has constant back and forth in an attempt to represent the different sides of the story and the best part is you are still glued to the film without any distractions in the story. The casting of the movie is good too, Irrfan Khan is at his usual best while Konkona Sen Sharma and Neeraj Kabi have played their parts as parents of the victim very well. As I had mentioned earlier that the movie is a no-nonsense movie, but it has its own way of portraying humor with Irrfan Khan delivering the quirky one liners and one of my personal favorites being “Gyaan Nahi Samadhaan Chahiye” for which the situational translation is “Not Knowledge, I need satisfactory answers“. The movie represents both the sides of the story very well and leaves you with the question, which story is correct. I must say a great amount of research have been put in by the Talvar team to make this movie. The movie is releasing on October 2, 2015 and I would recommend it to be watched not for entertainment purposes, but for an understanding of the case. I would surely watch this movie..!! Thank you for your feedback. I am glad that my review will make you watch the movie. I personally never followed the Aarushi murder case after the initial findings and finger pointing, what happened to the family was utterly unfortunate. More over it becoming a source of entertainment for the Indian audience till the case went on was even more unfortunate. I wouldn't have gone for the movie if it wasn't a Vishal Bhardwaj production in which I have full faith and Irfan Khan who has never managed to disappoint me even in his AIB spoof. Also your review intrigued me further to watch this film, as you mentioned it to be a no-non sense movie I did go for it :) Neerj Kabi (who was a delight to watch in Ship of Theseus) did a good job in the movie. I liked the movie but was left poignant in the end like many others, still wish the actual truth could have been determined and justice served. Way to go Kaushal keep us posted with such reviews! Thank you Monica! Will continue to write unbiased reviews. Talvar is a really great movie, but I liked Rahasya more compared to this when we compare based on the story telling. Talvar is mostly concentrate on what happened in the investigation. You have a nice blog and your reviews are really good and well narrated. Keep up the good work. 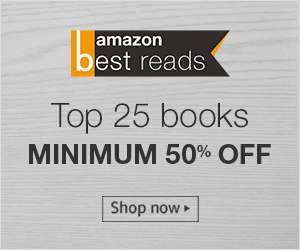 Hi Santanu, Thanks for reading the review and your kind words. Agreed, Rahasya and Talvar are about the same story but Talvar was more on the documentation part and that's the reason Rahasya appeared more interesting.